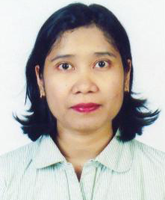 Asmin Fransiska is a Lecturer in Atma Jaya University, Jakarta, Indonesia. She got the Master Degree (LL.M with Honors) from School of Law, Northwestern University, Chicago, - USA. 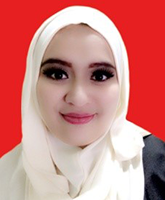 She is also a Coordinator of Indonesian Drug Policy Reform (ICDPR) which contains Law Faculty, Research Centre on HIV/AIDS, NGOs and Female Organization. In 2004, she worked as a UN-Fulbright Fellow in the Rule of Law Division at the Office of High Commissioner for Human Rights (OHCHR), Geneva, Switzerland. Currently, she is teaching Human Rights Law, Children and Women Protection, European Law and also International Law of Treaties. She works also with some UN Agencies as National Consultant, Facilitators in some Human Rights Trainings as well as Researchers. Her areas of research are human rights, the rights to health, women and children protection.